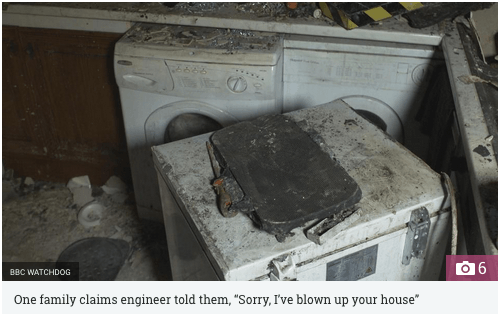 House fires believed to have occurred as a result of poorly-fitted smart meters. A BEIS spokesperson said:“In the first half of 2017, there have been only 18 reported installation issues of this nature in the fitting of more than 3 million meters during the same period. British Gas statement: “We operate to the highest possible safety standards, as safety is our number one priority. Smart meters are safe, and our processes for installing them are industry-leading. All of our Smart Energy Experts receive 12 months of training resulting in a City and Guilds QF level 2 qualification, initially at one of the British Gas academies, which are rated ‘outstanding’ by Ofsted. They also receive on-going support to ensure that they are maintaining an excellent service for our customers. We conduct frequent checks after installations: these confirm that the standard of installation work by our engineers is very high, matching the quality of training we provide and the overriding priority we attach to safety in everything we do at British Gas. OVO Energy spokesperson statement: “Our investigations found no evidence to confirm the smart meter was the cause of the fire and the official fire report came back as inconclusive. The installation took place six months prior to the fire and our installation partner’s records show it was carried out in line with safety procedures. Smart Meter smashed on the ground by Installer! THE $2.18 billion roll-out of Victoria’s electricity smart meters will go ahead because too much money has been spent to pull back. About 950,000 meters have been installed – almost half of all households and small businesses across the state. The Herald Sun has learned a final review recommends the roll-out continue, despite cost blowouts, and that consumers will win from potential benefits. The project’s original $800 million budget has almost tripled since the former Labor government ordered all homes and small businesses be fitted with the devices by the end of 2013. Premier Ted Baillieu would not be drawn on the findings of the review, saying the program’s fate would be announced soon. Smart meters record power consumption every half hour. A scathing auditor-general’s report released two years ago said the program was “flawed and a failure”, the financial benefits flowing to power companies rather than consumers. Victoria’s energy regulator, the Essential Services Commission, first forecast a roll-out of the meters in July, 2004. At the time, it was estimated the meters would cost customers a few dollars each year. Instead, Energy Minister Michael O’Brien has warned the charge could be $900 over 15 to 20 years. Government’s ‘disappointing’ £11 billion scheme to install smart meters in every home and business by 2020 is unlikely to materialise and “could prove to be a costly failure”, MPs have warned. Any delay will mean the initiative – implemented to reduce energy bills – will actually cost utility firms and their customers dearly, the energy and climate committee stated in a report released over the weekend. Technical problems, interoperability standards, delayed communications infrastructure and a reluctance to improve transparency across the UK’s smart meter scheme have all contributed to the delay, the report found. SSE, an energy firm that supplies electricity and gas to nine million homes, said that it had concerns about increased installation costs, lack of customer engagement and that the 2020 target was unrealistic. 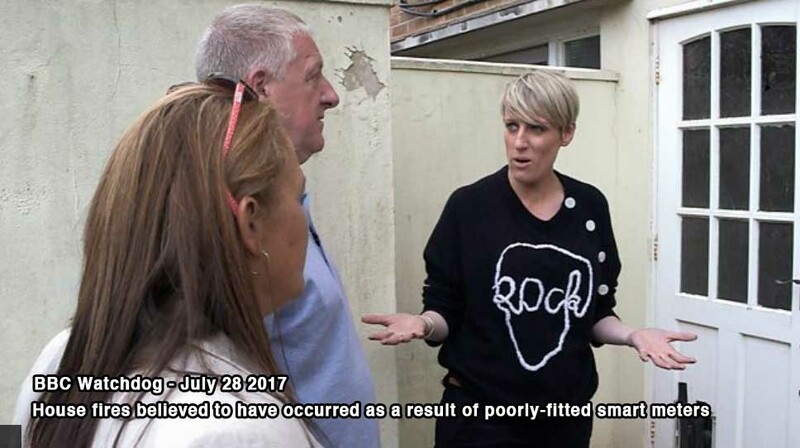 Further, British Gas said that technical issues and a lack of a universal solution, or standard, was hampering the scheme. The utility firm was one of the first to begin installing smart meters. However, after a change in the specification for the devices from the government, it will have to replace some of its 800,000 meters it has already installed by 2020 – at extra cost to customers. The legal responsibility to install smart meters in every customer’s home by 2020 will mean that more of these out-of-date devices could be implemented to cut costs and reach the quota, the report found. Because of this, the committee added, this will cause longer term interoperability issues when devices will not be able to communicate with each other in the future. While the use of smartphone apps might be a useful workaround for interoperability issues, utility firms told the committee that they are forced, by law, to provide an in-home display to show energy usage. Melissa Gander, managing director of in-home Technology at Ovo Energy, said: “The technology is there and we can use it to be able to give customers their data on a smartphone. The challenge is that we are still mandated to provide an in-home display so that cannot enable the smartphone usage. Just days before the damning report was published, the deadline for the communications network, which will support the smart meters once they are installed and ready to communicate data, has been pushed back from December 2015 to April 2016. The network is managed by data communications company (DCC), a firm set up by the government especially for the smart meter program. France will initiate by the end of 2014 a 4.3 billion-euro ($5.5 billion) plan to deploy 35 million electronic power meters, the country’s energy minister said. The announcement today by Delphine Batho comes after the proposal, approved in 2011, was delayed over financing difficulties, questions about consumer benefits and a dispute between local authorities that own the grid and Electricite de France SA’s ERDF distribution unit, which will install the devices, said Albert Cheung, an analyst with Bloomberg New Energy Finance. The decision to implement the plan came after 300,000 meters were tested in homes near Lyon and Tours in a pilot project called “Linky.” The devices track power consumption and are read remotely to save energy and to make repairs. with their counterparts at the Health Department over safety concerns regarding the mass installation of smart meters. The Sage report says: “Significant unanswered questions still exist about what levels of radio-frequency microwave radiation will be produced by these [smart] meters. “Smart meters can produce excessively elevated RF exposures, depending on where they are installed. “With respect to absolute RF exposure levels predicted for occupied space within dwellings, or outside areas like patios, gardens and walk-ways, RF levels are predicted to be substantially elevated within a few feet to within a few tens of feet from the meter(s). The DECC states that the issue was noted in an impact assessment which was published alongside the department’s ‘Smart Meters Prospectus’ last July. A DECC spokesman said: “We will keep under review any evidence related to the effects of radiofrequency signals on the health of individuals. “Smart meters can pave the way for a transformation in the way energy is supplied and used. They will provide consumers with real-time information about energy use, enabling them to monitor and manage their use. “Consumers will receive accurate bills. Switching between suppliers will be smoother and faster and improvements in the delivery of energy efficiency advice will be supported. “Decisions on the communications requirements for smart meters have not yet been made and a communications technology solution has not yet been selected. “Part of the work of the Smart Meter Implementation Programme, which is being taken forward by DECC and Ofgem, will be to develop detailed plans in relation to smart meter communications requirements, whether in the home or outside. “This work will consider the range of issues relating to smart meter communications and the different technology solutions, including concerns expressed by some people about electromagnetic fields and electrical sensitivity. “We will continue to discuss the issues raised with the Department of Health, Health Protection Agency and other relevant organisations as our work on smart metering progresses. MUNICH, Germany — While energy vendors and environmentalists promote smart power meters as a panacea for green user education and empowerment, the market perspectives have been rather unclear. Now a Swedish study brings light into the dark.The installed base for smart electricity meters in Europe will grow by 16 percent annually in the time through 2014, predicts analyst company Berg Insight (Gothenburg, Sweden). At the end of the period, the market researchers expect the number of installed smart meters to reach 96.3 million units. The EU aims at a quota of 80 percent of all households within the European Community be equipped with a smart electricity meter by 2020. The current and predicted market growth for these devices makes puts the EC target within reach, Berg Insights believes. 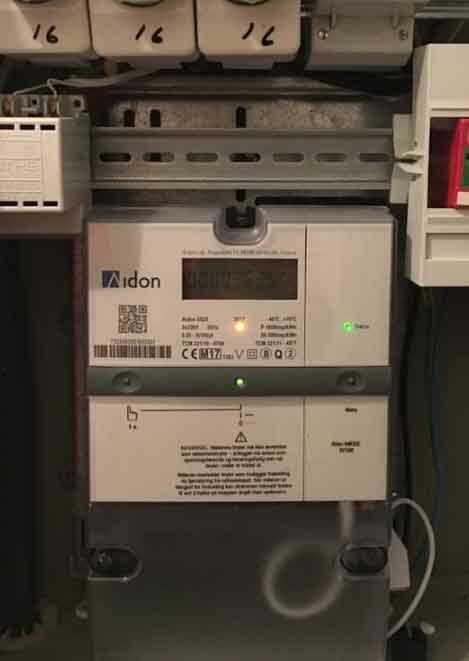 In Sweden, smart meters will already be mandatory beginning July 2009, but the adoption of smart meters has started in Italy, the study says. While Sweden by law the market penetration is already 100 percent, Berg Insight analyst Tobias Ryberg expects the next countries to follow will be Italy, Ireland, Norway and Finnland. While by the end of the decade more countries including France, Spain and the UK will also introduce smart meters, other countries including the Netherlands and Germany are noticeably lagging. The Netherlands have reservations against smart meters because some believe their usage would violate privacy; in Germany they are yet regarded as a surveillance technology, the study says. Berg Insight’s Ryberg however believes the privacy threat from smart meters is “grossly exaggerated, pointing out that smart meters are an “essential component” to create a sustainable energy system. That’s a big deal for Trilliant, though not completely unexpected. The Redwood, Calif.-based company first started working with British Gas in 2009, supplying it with its UnitySuite head-end software system to manage the utility’s smart grid devices — meters, smart thermostats, home energy dashboards, and the like — to come. This most recent announcement expands Trilliant’s role to providing the communications for the utility’s first 1 million smart meters — about half of them gas meters and half electric — built by Swiss meter maker Landis+Gyr. Whether British Gas — a subsidiary of energy company Centrica — will turn to Trilliant for all 16 million of its customers remains to be seen. The British government has said it wants every home in the country to have smart meters by 2020. Trilliant tends to get less notice than its well-funded smart grid networking competitor andrumored IPO candidate, Silver Spring Networks. But Trilliant has racked up an impressive list of utility clients, including Ontario, Canada’s Hydro One, which is plans to have some 1.1 million Trilliant-enabled smart meters installed by the end of this year. Trilliant also raised an impressive $106 million round in June from investors including smart grid giants ABB and GE, which are also partners with the company. That comes on top of $40 million it raised in 2008, shortly after it refocused its efforts on smart grid — the company has actually been around since 1985. Trilliant’s choice of communications technology also differentiates it from most of its competition. While Silver Spring and most smart meter makers have settled on using 900 megahertz wireless systems, Trilliant uses a 2.4-gigahertz system based on the same IEEE 802.15.4 standard underlying ZigBee. To make up for that technology’s shorter range, Trilliant bought long-range Wi-Fi company Sky Pilot last year — an addition that could give them an end-to-end communications solution for utilities. The government is planning to introduce new smart meters to measure the amount of energy we use. They claim the technology could end wrongly estimated bills. Companies will be able to remotely read the meters and it is estimated they could save consumers millions each year. Neighborhoods are powered by a transformer that can provide electricity to hundreds or even a thousand homes. On this transformer will be installed the conductor who will direct all Linky of the district. It’s the concentrator. For the communication between concentrator and Linky meters, ERDF uses an Online Carrier Current (PLC) for the moment around 80 kHz but eventually up to 400 kHz. These currents, superimposed on the 50 hertz sector are at frequencies close to the waves of radio stations like RTL. Linky therefore transforms the entire unshielded electrical network into radio antennas, including indoors. The concentrator sends a request to a given meter on the electrical network. This request circulates everywhere on all the network dependent on the concentrator until among the inhabitants since there is no filter anywhere. The Linky concerned responds and sends its data over the entire network including all homes in the entire neighborhood. The concentrator then interrogates the next counter, etc., and starts again every 10 minutes. This results in permanent data traffic. The phenomenon is aggravated by the attenuation of the signal by loss of energy due to radiation. After 300 meters, the signal must be regenerated. It is a Linky designated by the concentrator that is responsible for repeating the signal. Each signal can thus be repeated up to eight times to reach 2400 meters (in the countryside, if the distances are too great, Linky works by radio waves and not by CPL). Presumably, hub requests must also be repeated. Example of a transformer supplying 500 meters: 500 requests and 500 replies each repeated 4 times on average, this makes 4000 transmissions in 10 minutes, 400 in 1 minute, 7 per second. Finally, we understand why irradiation is permanent. It should be noted in passing that if the signal CPL Linky is able to propagate interpretable up to 300 meters, downstream and close to the meter, the irradiation is necessarily strong. We have banned wifi in crèches but we want to subject babies to irradiation of CPL 24 H 24 in their cradle. In the movie Lie Lies live , Bernard Lassus, Linky project leader, shows that Linky is able to detect which home appliance consumes what and when. ERDF now wants to hide this function and therefore gives no information on its operation. It could be that it is done by CPL thanks to the electronic chips which, for ten years would be installed on all the new apparatuses ??? On the other hand, many consuming devices can be identified by their consumption characteristics: starting current, cos (phi), periodicity of use, consumption variations etc …. In addition, ERDF has planned to take over the home automation market with the optional ERL which will operate by radio waves in Mega and Giga hertz. One more irradiation for babies. See ERL sheet To date, July 2017, the ERL is not yet operational. ERDF distributes free licenses to equipment manufacturers to manufacture “Linky Ready” devices. Finally, the data is transmitted from the concentrator to ERDF by GSM telephone. Third permanent source of irradiation for the neighbors of the transformer.